Looking For a Painting Contractor in Signal Mountain, TN? 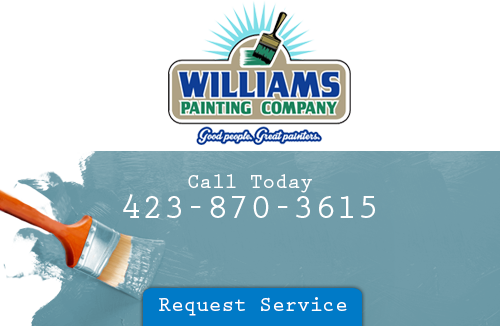 If you’re seeking a Signal Mountain painting contractor, then go with the services of Williams Painting Company. We do a whole lot more than just painting, we put smiles back on all our customer’s faces. If you need painting done or a pressure washing service, then schedule an appointment with us. Let us help you create your dream home in Signal Mountain with our quality painting services. Getting a painting contractor to do interior painting in your home can be a little scary. After all, you’re paying complete strangers to be inside your home for days on end without any kind of supervision. You won’t have to worry if you hire Williams Painting Company. The number one reason why you should employ a house painter from Williams Painting Company is for professional results. Anyone can pick up a paint brush and paint a wall. But it takes a talent to create an atmosphere like our guys can. Our goal isn’t to simply just change the color in your room, it’s to add more value to your home. Increasing the resale value will put even more money in your pocket while making the home buyer pleased with their purchase. Hiring a house painter never needs to be a nightmare. There are many ways in which you can find a reliable Signal Mountain painting contractor. You can look online in your city or ones that are nearby or you can call the contractors that are close by- Williams Painting Company. Once you hire a dependable house painter, you’re going to need good communication. Being able to communicate with you house painters allows for you to get all that you are looking for. Find one that listens to their customers. You’ll need to find out if they are licensed and bonded as well. A certified painter is one who has the necessary skills to be in the mastery level of their trade. Those are the ones that you should have painting your home. Don’t hire one on the spot. Do your homework first! Pressure washing will get rid of all your home’s dirt and grime. To rid your home of dirt and other growths that tend to bring down the value of homes, then call Williams Painting Company. Leave your home in the hands of skilled professionals. In order to start taking advantage of your Signal Mountain pressure washing contractor, then get in touch with one of our representatives. We’ll be able to take you home to a whole new level of beauty. You’ll never be disappointed with our pressure washing service. We wanted to tell you how happy we are with the paint job your crew did. They were all very professional and worked very hard. We will tell our friends and neighbors about you and when we decide to have more work done, we will be sure to call you. Again, we appreciate the hard work, it looks great! Thanks again to you and your crew. If you are looking for a Signal Mountain painting contractor, please call 423-870-3615 or complete our online request form.